It’s often been referred to colloquially as just plain “OS X” ever since it was announced, but this is the first time Apple has dropped the “Mac” from the name in marketing materials. I have no idea why, but I wouldn’t read too much into this. I think they — where by “they”, feel free to substitute you-know-who — just think it sounds better. And it clarifies that Mac is the hardware, OS X is the software — just like how iPhone, iPod Touch, and iPad are hardware, and iOS is the software. UPDATE: Come to think of it, I’m pretty sure the only reason “Mac” was ever put into the name of the OS was for the ill-considered cloning era. Prior to the clones, it was just called “System 7”, “System 6”, etc. They renamed it “Mac OS” so there’d be some sort of Mac involved on machines that themselves could not be called Macs. 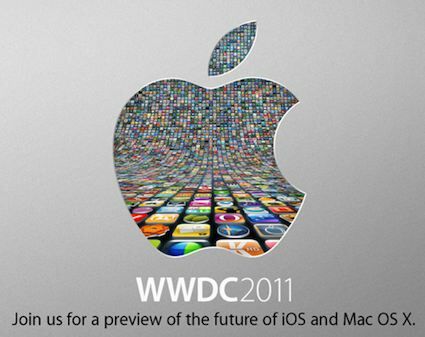 With Apple promising to “unveil the future of iOS and Mac OS” at its Worldwide Developers Conference in five weeks, it’s increasingly likely the Cupertino-based company will use the forum to divulge its plans for iCloud and provide its Mac and iOS developer communities with tools they can be used to leverage the new cloud service from within their applications. Word that Apple is making active use of the name in future versions of its operating systems comes just one day after GigaOm’s Om Malik cited sources as saying that the iPhone maker this month acquired the iCloud.com domain name for an estimated $4.5 million from Sweden-based desktop-as-a-service company, Xcerion. 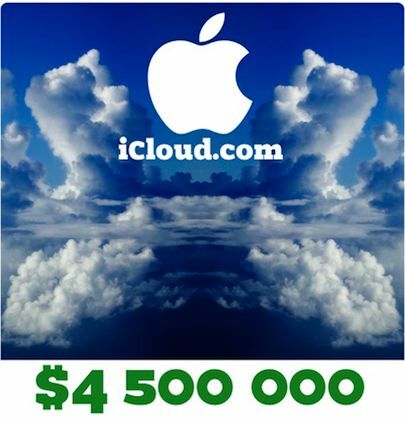 Conspicuously, Xcerion’s existing iCloud service was just rebranded to CloudMe, with the company purchasing the CloudMe.com domain on April 5, 2011. But evidence seen by AppleInsider suggests the service will go beyond music, and could be the central component of a revamped Apple’s existing MobileMe service. To this end, reports dating back to February characterized Apple’s plans future internet service plans as including a digital “locker” that would hold all of a users personal memorabilia, including photos, music and videos. That would negate the need for future Apple mobile devices like an iPhone to have a great deal of internal and costly flash memory storage. Apple is also said to have been toying with the idea of making its enhanced MobileMe a free service that would further tie users into the Apple ecosystem and drive sales of the company’s profitable hardware device. And while the music streaming component of the service could potentially be included free at first, at least some features of the music service would eventually require a fee, music industry insiders have said. Apple closed the door this morning on any speculation that it would announce new hardware at its Worldwide Developers conference saying it would focus on iOS and Mac OS. 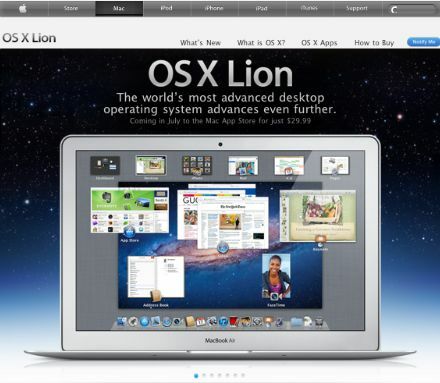 Apple said that Mac OS Lion would ship in the summer of 2011 and all indications are that they are still on track to deliver the operating system during that time. WWDC will probably be about the time the company is getting into the final stages of development, before hitting the GM stage. At past WWDCs, Apple might show off a new piece of hardware, but Gartner analyst Michael Gartenberg warns about getting too caught up in the past. It’s important to remember that this is a developer conference, not a consumer show. Apple will host developers from around the world to show them what’s new in their mobile and Mac operating systems. Here’s the short version of the “Mac is doomed” scenario: iOS is the future, Mac OS X is the past, and Apple is strongly inclined to abandon the past in the name of the future. Apple’s cultural aversion to legacy technology isn’t about a lack of seriousness, or a short companywide attention span. It’s not about being attracted only to the new and shiny. It’s about fear—the fear of being weighed down by excess baggage. Fear that old stuff will slow them down in their pursuit of creating brand-new stuff. So it goes: Classic was abandoned as quickly as possible in the transition to Mac OS X. PowerPC support was dropped in Mac OS X 10.6 three years after the last PowerPC Macs were discontinued. The 64-bit Carbon application programming interface died. It’s not that these technologies were no longer useful. It’s that continuing to support them would have slowed the company down. Time spent supporting the old is time not spent building the new. At typical companies, “legacy” technology is something you figure out how to carry forward. At Apple, legacy technology is something you figure out how to get rid of. The question isn’t whether iOS has a brighter future than the Mac. There is no doubt: it does. The question is whether the Mac has become “legacy.” Is the Mac slowing iOS down or in any way holding it back? I say no. In fact, quite the opposite. For one thing, Mac OS X development has been slowed by the engineering resources Apple has shifted to iOS, not the other way around. Apple came right out and admitted as much, when Mac OS X 10.5 was delayed back in 2007. The company’s explanation: It had to shift key engineering resources to help the original iPhone ship on time. The bigger reason, though, is that the existence and continuing growth of the Mac allows iOS to get away with doing less. The central conceit of the iPad is that it’s a portable computer that does less—and because it does less, what it does do, it does better, more simply, and more elegantly. Apple can only begin phasing out the Mac if and when iOS expands to allow us to do everything we can do on the Mac. It’s the heaviness of the Mac that allows iOS to remain light. When I say that iOS has no baggage, that’s not because there is no baggage. It’s because the Mac is there to carry it. Long term—say, ten years out—well, all good things must come to an end. But in the short term, Mac OS X has an essential role in an iOS world: serving as the platform for complex, resource-intensive tasks. The computer for the rest of us. Yesterday, Apple released Mac OS X 10.6.5. The security-related release notes for this update list 134 CVE IDs for fixed vulnerabilities. 55 of those vulnerabilities are for Flash Player alone. Of the 131 security vulnerabilities identified and patched by the latest Mac OS X update (cataloged by their public Common Vulnerabilities and Exposures or CVE ID), 16 are related to X11, an optional install which enables Mac OS X to run apps designed for the Unix X Window specification. Another five are related to features in Mac OS X Server that are missing in the desktop version. However, the most security vulnerabilities by far are associated with the Adobe Flash plugin, with a whopping 55 issues listed, the “most serious of which may lead to arbitrary code execution,” Apple reports in its Apple Product Security update. This leaves little reason for wondering why Apple has worked to shed all third party platform code from its mobile iOS, including Java and Flash (and of course, X11). So that report last night of AirPrint being pulled from 10.6.5. Yeah, it might not be true. Of course there is significant room for interpretation there. Being pulled and being able to only use certain HP printers are two separate things which Jobs doesn’t delineate. We should know more by Friday, right?